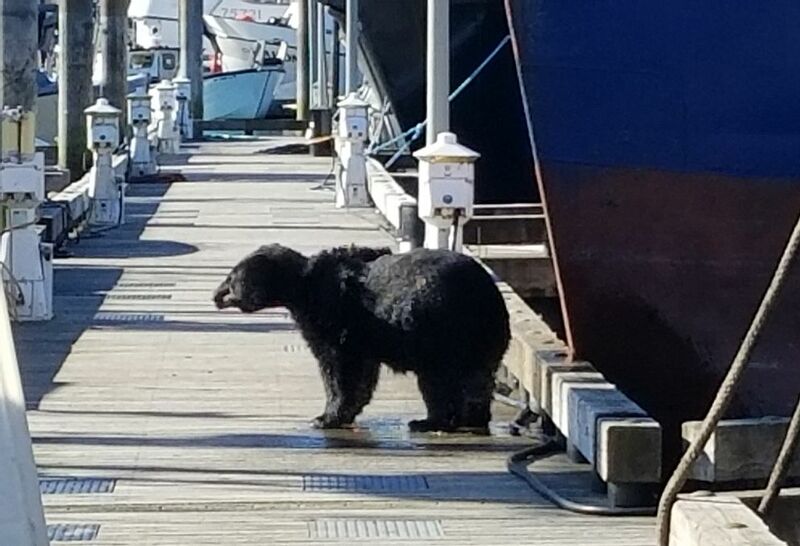 Authorities on Saturday shot and killed a black bear that invaded Cordova salmon boats and refused to leave the harbor, the latest incident in an unusually busy summer of bear activity in the Prince William Sound fishing town, residents said. "I've never seen it like this," said Brian Wildrick, owner of Harborside Pizza, a 13-year resident. He's shooed black bears away from his restaurant three times in the last 10 days, and barricaded garbage cans the bears had toppled to break into, he said. "Customers were taking pictures of them," he said. More than a week ago, a black bear approached the playground at the elementary school, forcing children to evacuate and head inside to safety, he said. On Friday, a black bear climbed on a dumpster behind the grocery store, defecating on one closed panel and jumping atop the other and breaking it, he said. Others have raided people's chickens. Residents are sending warnings and sharing pictures on a new Facebook page, Cordova Bear Watch. "It's an infestation!" the page says. 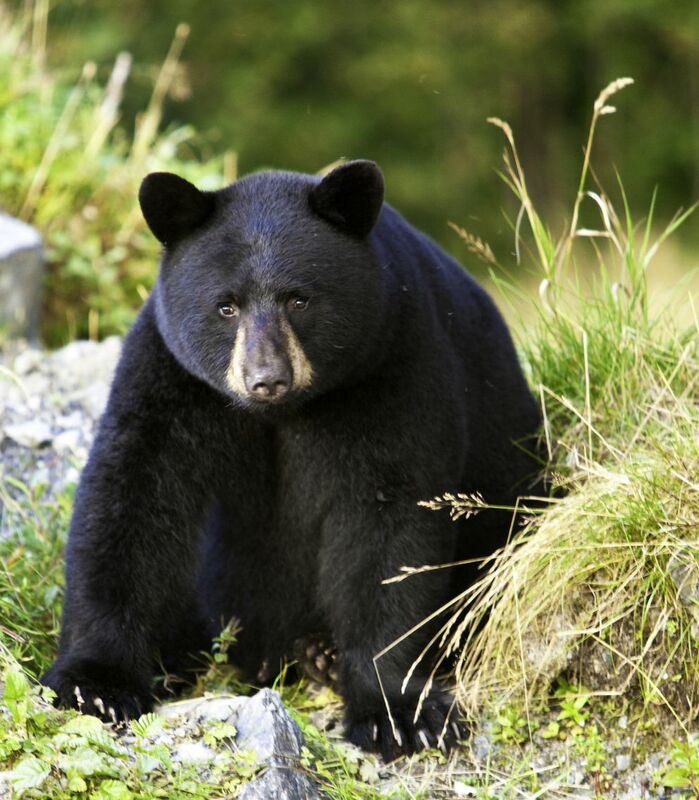 Residents speculate the black bears are venturing into town because they're hungry, after a poor run of pink salmon and rainy weather that hurt the abundance of berries, limiting food for the animals. The bears have been especially thick lately, now that the silver salmon season has opened and fishermen are catching fish. Brown bears have been spotted too, but they've tended to stay outside town, said Wildrick. 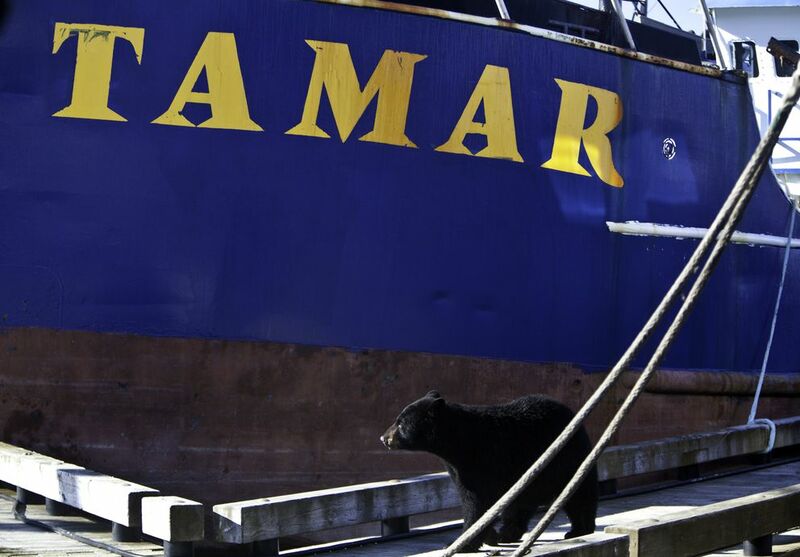 "There's been a real bear problem," said Bob Martinson, a longtime salmon fisherman and journalist. "We usually don't have many in town, but this year it's been unbelievable." Recently, a crowd of five to eight black bears congregated at the cleaning station where sportfishermen fillet fish, Martinson said. "They had to close the station," Martinson said. 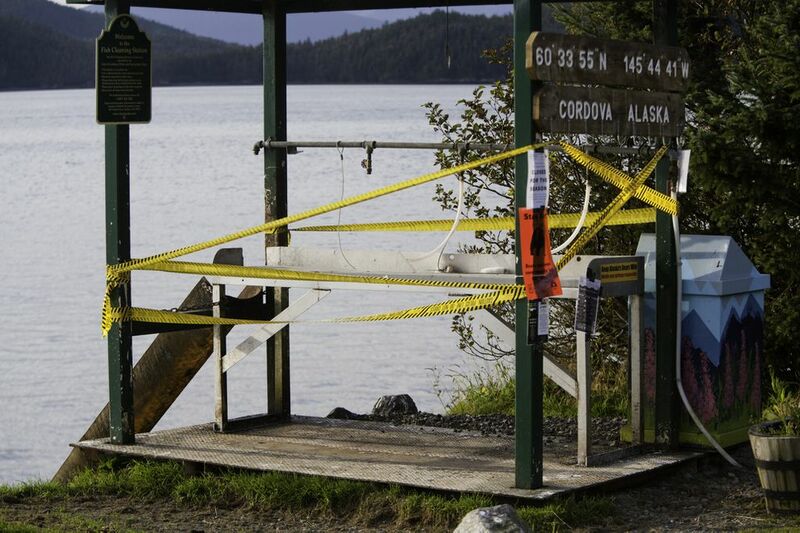 A Cordova fisherman for 50 years, he's never seen a bear on the docks until Saturday. "It's been a real issue," said Seth Steben, skipper of the Sound Pacer, a vessel that delivers salmon to a processor. "Multiple times a week, we hear, 'Bear here, Bear there.' 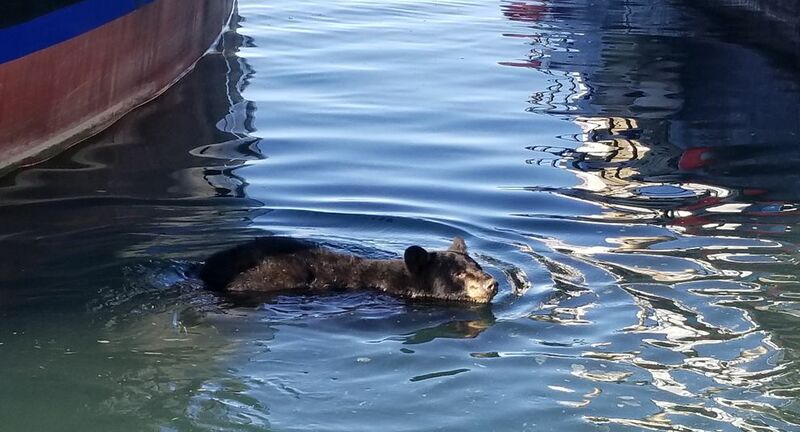 "
Steben said he watched as the black bear killed Saturday morning swam across the water to reach the boats. At one point it was just beneath his feet, snuffling under a floating dock, apparently resting there after the swim. "I could hear it, but I couldn't see it," he said. It eventually clambered onto the docks, walking down floating pontoons and onto boats, refusing to leave. Steben said he's seen a few black bears around town this summer, including one that appeared thin. But this one, a small young adult, looked well fed. 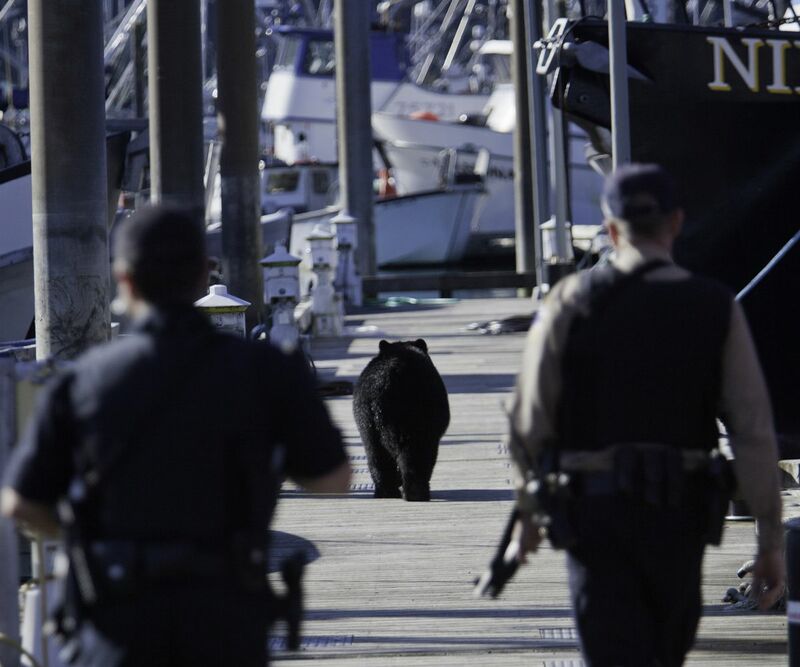 Officers who responded spent about an hour chasing the bear, trying to coax it off the docks before they killed it, he said. "I was disappointed when they shot bear, but it appears they didn't have a choice," Steben said.